At the recent UN Convention on Biological Diversity, the African Group – the regional negotiating body representing African countries – blocked a proposal to temporarily halt the release of gene-drive mosquitoes, which are being promoted by the Gates Foundation as an attempt to eradicate malaria-carrying mosquitoes and reduce the spread of the disease. The African Group backs the African Union’s position advocating for gene-drive mosquitoes to be tested on people in Africa; however the African Centre for Biodiversity (ACB), describes gene-drive mosquitoes as the “latest experiment to be tested on the people of the continent.” According to ACB, the report was written by pro-biotech scientists repeating unsubstantiated claims. 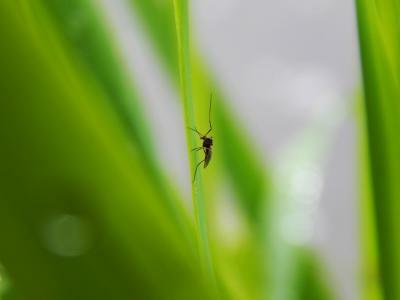 A lack of scientific evidence supporting the efficacy of gene-drive mosquitoes in eradicating malaria has led to global concern related to biodiversity, ecological systems, and health. Gene-drive mosquitoes are being developed under the Target Malaria project at Imperial College, London, which is funded primarily by the Gates Foundation. The Gates Foundation also provided generous allowances to 35 African delegates at the UN Convention, in order to influence the decision-making process on gene-drives. Ultimately, the UN Convention imposed strict rules to be met before gene-drive organisms can be introduced in Africa, including the condition that affected communities must give informed consent beforehand. Alongside Target Malaria, other agribusiness and military interests are also developing gene-drive technology for agriculture and military uses. The US military’s Defence Advanced Research Projects Agency (DARPA) program is the largest funder of gene-drive research. Gene-drives are also being introduced into agricultural pests to increase sterility, to spread genes to increase meat production in livestock, and to reverse herbicide resistance in weeds. The risks of potentially eradicating mosquitoes is unknown, as the role of mosquitoes in the wider ecological system is not well-understood. Gene-drives could spread to other mosquito species, and the potential eradication could lead to a replacement with other disease-carrying species. Similarly, gene drive technology for pests and weeds could have ecological impacts far beyond our understanding.